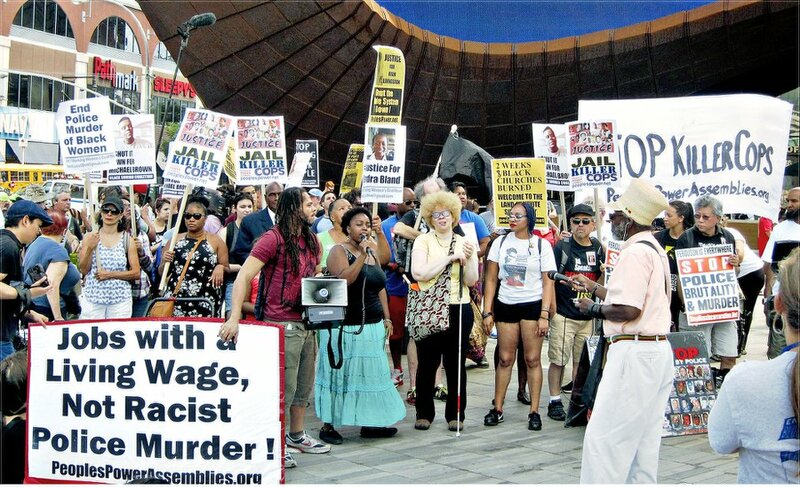 On Aug. 9 in New York, protesters gathered in front of Brooklyn’s Barclays Center before marching to nearby MetroTech and then to another protest in Harlem. A die-in was held to commemorate the life of Michael Brown, who was killed a year ago on this day in Ferguson, Mo. Others were remembered, like Akai Gurley and Eric Garner in New York, and all those killed across the country at the hands of police. The banner “Stop Killing Black People! Black Lives Matter” stretched across the entire front of the building.